Using a Trustee Service should always be viewed as a preliminary option. We encourage that you immediately begin the process of registering your own local Japanese company. Applicant must be a Japanese company. If you are unable to fulfil this requirement Web Solutions offers a Local Presence/Trustee Service for Japanese .CO.JP domain names. If you are using our Local Presence/Trustee Service you cannot use your own nameservers, however there is a possibility of activating the domain name(s) via a 302 redirection to a different URL. 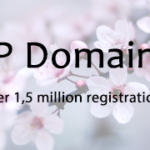 The basic rule is that only Japanese companies can register .CO.JP domain names, and only a single domain name per entity. Trademarks have zero effect, no matter where they are registered, including Japan. To facilitate an entryway into the .CO.JP namespace, we offer a backdoor where you can protect your domain name/brand via the Trustee Service. The local agent however, is the legal holder of the domain, and since Japanese law makes the agent liable for any kind of infringement related to the domain name, hereunder website or email activity related to the domain, the agent insists on having control of the DNS. The agent is not willing to set aside this requirement, under any circumstances. The agent does however allow forwarding of the domain.The optimal solution for clients with no local presence is therefore to register both a .CO.JP (via Trustee Service) along with a .JP, and then forward the .CO.JP to the latter. If you are serious about doing long term business in Japan, we suggest that you view the Trustee Service as temporary and begin the process of registering a local company. As soon as such is registered, the agent will relinquish the domain name to the newly formed Japanese entity, in exchange of a reasonable transfer fee. There is a second solution, where you can register your domain name in the name of its 'soon to be registered Japanese company'. With this kind of registration, the domain name can be activated immediately under your own DNS/nameservers. Such a preliminary reservation is allowed to stand for 6 months, after which the Japanese company must be registered in full and documented, or the domain is cancelled - and then subsequently blocked for an additional 6 months. Therefore, before you decide to orde this, we ask that you contact us. Is local company in Japan required? A local company is required in order to register CO.JP domains (require a toukibotouhon registration or similar). Each company can register a single domain only. Web Solutions, however, offer a Local Presence Service where it is possible to register one or more .CO.JP domain names and have them forwarded to your main website (a .JP for instance). Is local admin contact in Japan required? A local admin is offered as part of the trustee service. Are trademarks usable in Japan? Trademarks can not be used as grounds for registration, no matter where they are registered, including in Japan. Only a toukibotouhon company registration or similar will suffice (or Trustee Service). Kanji, hiragana and katakana characters are available.There is no IDN pattern available. Are generic domains allowed for .CO.JP? There are some restrictions on the type of domain names allowed in Japan. Please contact us beforehand, if you are planning to apply for a generic type .CO.JP domain. How much time does it take to register .CO.JP domain name? Usually, it takes 3 day/s to register a .CO.JP domain name in Japan. We will file the application as soon as possible. However, we cannot provide guarantees as we have no influence on the speed of the Japanese domain authority once the application has been filed. What is the minimum of characters allowed for .CO.JP domains? It is not possible to apply for .CO.JP domain names with less than 3 characters. What is the maximum of characters allowed for .CO.JP domains? It is not possible to apply for .CO.JP domain names with more than 63 characters. Can I register more than one Japanese domain name? Only one domain per company can be registered. However, with the Trustee Service there is no lomit to how many domains you can register. Please note that the Trustee Service is redirect only. If you are using our Local Presence Service the nameservers cannot be changed, however there is a possibility of forwarding to a different URL. The Trustee Service is redirect only. Are there other domain extensions related to Japan? Using a Trustee Service should always be viewed as a preliminary option. We encourage that you immediately begin the process of registering your own local Japanese company. Please observe that the Trustee Service is a redirect service only. You will not be able to use your own DNS. While we offer the Trustee/Local Presence/Local Agent Service in good faith, it should be viewed as a safe and secure solution, and should always be regarded a preliminary option. We therefore recommend that you immediately begin the process of registering your own local Japanese company. Please observe also, that the Trustee Service is a brand protection and redirect service only. You will not be able to use your own DNS. The best possible combination is with a .JP domain where your .CO.JP domain forwards to the former. No Local Presence fees will be returned. Please observe and read the User Certificate which we will send to you after each domain registration. If you would like to read a sample beforehand, please contact us. If you would like more information regarding Trustee Service for Japanese domain names, or would like to review a draft User Certificate, please contact our support team. Domain name .CO.JP in Japan. Available for registration. Local company required. Local Presence Service offered to meet requirements. Japanese local company required, or select Trustee Service. Accepted payment methods for .CO.JP domain names include Visa, Master Card, JCB, DanKort, PayPal, Visa Electron, Maestro, UnionPay, American Express, and wire transfer.